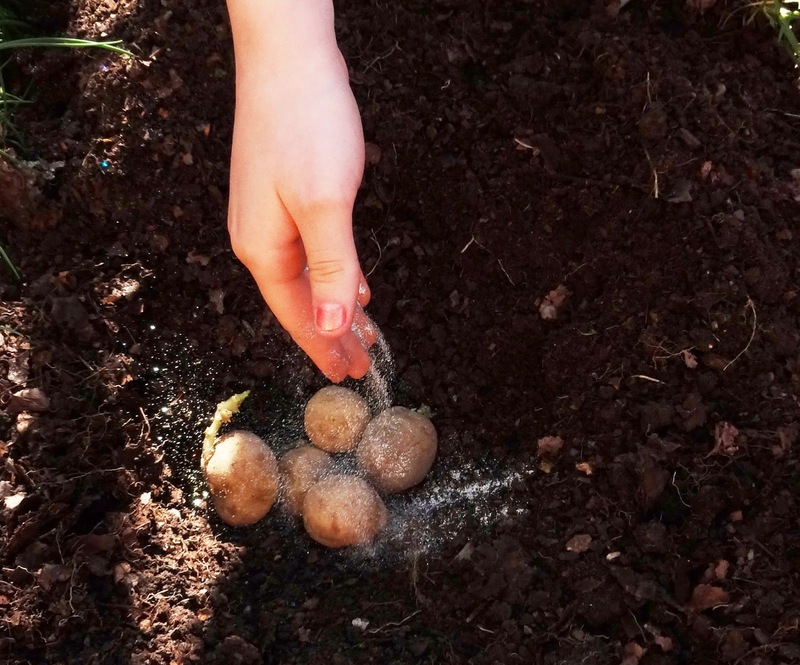 My kiddo planted potatoes over the weekend. She adds glitter to everything she plants. This year, the potatoes are Kennebecs.